4 Raspberry picker bots "could arrive in five years"
Vertical farming in soft fruit is a sure-fire way to lose money, one of the UK’s foremost fresh produce research organisations has warned. 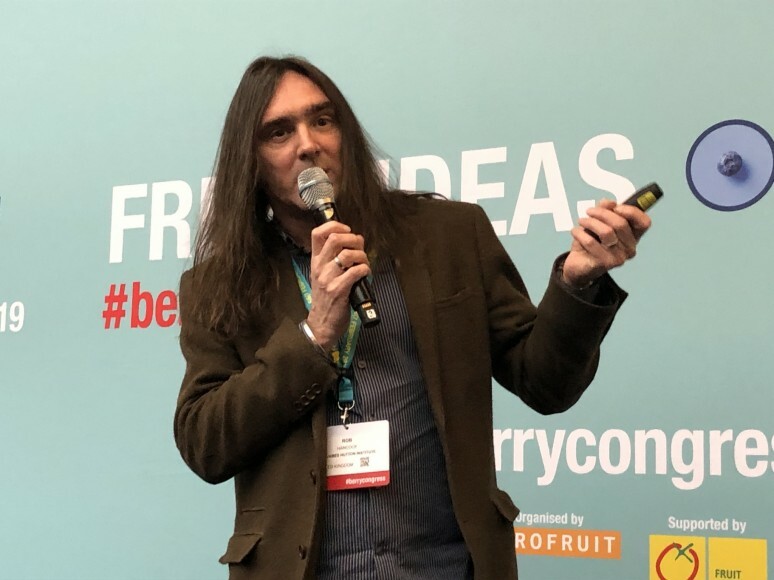 Delivering a presentation at the Global Berry Congress in Rotterdam last week, Rob Hancock of the James Hutton institute told delegates emphatically that berry production is not feasible in a vertical farm. “If you want to lose money, start growing your fruit in an indoor farm,” he said. Following vertical farming trials by the institute, Hancock said that, crucially, growing soft fruit hydroponically using LEDs does not provide enough light intensity, with a negative impact on yields, quality and sugars in the fruit. Furthermore, the architecture of soft fruit plants is unsuited to vertical growing, and crucially the high cost of installing and running a vertical farm makes it extremely difficult to generate a profit. “Vertical farming is becoming more commonplace – particularly these indoor vertical farms,” he said. “The number of new openings has increased in recent years, however if you look at whether these guys are making profit, many of them are not. “The advantages [of vertical production] are optimising nutrition, temperature, humidity, CO2. But you’ll also get many of these benefits in conventional protected cropping. “The one thing you can control in an indoor farm that you absolutely cannot in an external farm is the light. By messing around with the light spectrum, you can have impacts on the colour and quality of the strawberry. By manipulating the light spectrum, you can massively enhance the concentration of anthocyanins present in the crop. “The disadvantage is the light intensity. 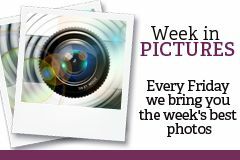 In an indoor farm you’re lucky if you’re getting 200 micromoles of light, so with a product like strawberries or raspberries you’re operating at nowhere near maximal photosynthetic rate – that’s going to impact yields, quality and sugars. Despite these important limiting factors, Hancock stressed that a lot of the individual technologies associated with vertical farming can be “really useful” for advancing berry production using conventional systems. As such, the James Hutton Institute is trialling some of these technologies at its Advanced Plant Growth Centre in Invergowrie near Dundee – a £27 million project funded by the Scottish and UK governments to enable research, development and innovation in crops grown under cover. He said vertical production can be “very useful” to propagate soft fruit plants before then planting them in conventional tunnels, and that a lot of the technologies associated with vertical farming can be used to accelerate breeding. “I think it’s also very important, if vertical farming and berry production are ever going to come to together, that we start thinking about breeding varieties for indoor farms,” he added.